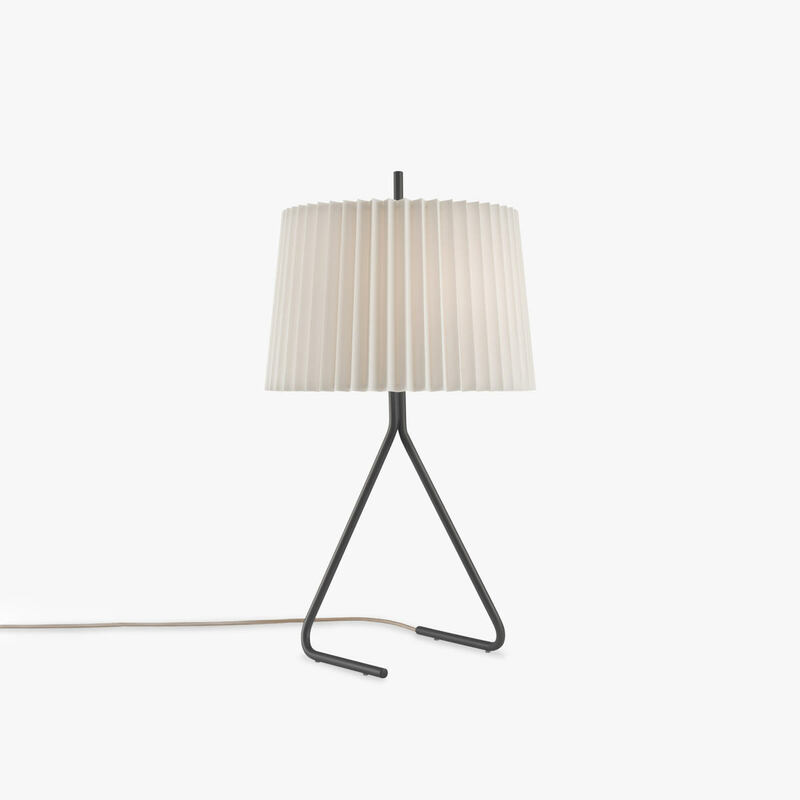 The Fliegenbein table light translates Julius T. Kalmar's 1957 floor lamp of the same name for a table environment. Like the original, the smaller product features two bent metal tubes merging into a single shaft. A pleated silken shade suspends near the top of this steel column, which is painstakingly finished in light and dark gray or brown matte lacquers. Fliegenbein is a versatile addition to both modern and transitional interior environment.